The movie “Selma” about Martin Luther King, Jr. and the civil rights movement is playing in Hilo at the Regal theater. Please call the theater 961-3456 for times and dates and pass the word to others. Yesterday, Jan. 8, 2015 saw a victory for justice. The Hawaii County Windward Planning Commission voted unanimously to support a study on the social/psychological health effects on native Hawaiians from geothermal development. This study should have been done 40 years ago, but better late than never. 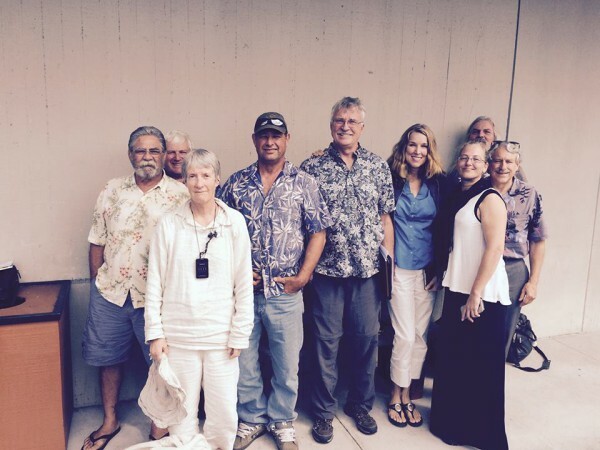 Below is a photo by Ron Fujiyoshi of some of the people who testified or were present to support this effort. This week’s leaflet for our Hilo Peace vigil is a tribute to Uncle Sam Kaleleiki, Jr. who recently died. I trust you already received the leaflet. 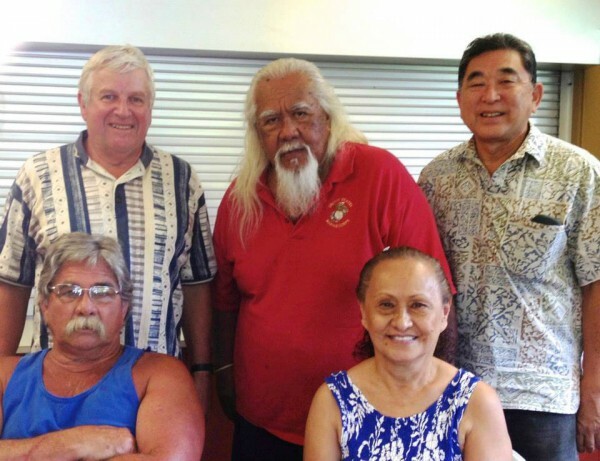 Below is a photo of Sam, and other Ohana Ho’opakele plaintiffs in a lawsuit to have Kulani prison designated as a model Pu’uhonua (place of healing) as an alternative to prison. Native Hawaiian concerns raised in the Environmental Assessment process were not taken seriously so we filed suit and now the case is on appeal. Ohana Ho’opakele still has to raise $1500 to cover lawyer expenses for the appeal. If you would like to make a tax deductible donation to Ohana Ho’opakele in Sam’s memory to help with the appeal it would be greatly appreciated. Sam served as President of Ohana Ho’opakele for many years. Donations can be made through Pay Pal on www.ohanahoopakele.org website or by sending checks to Ohana Ho’opakele P.O. Box 5530 Hilo, Hawaii 96720. Mahalo for your solidarity and honoring the memory of Uncle Sam. More people living in jails than on college campuses in the U.S.
On New Year’s eve, Hawai’i lost a true patriot. Kupuna Samuel Kaleleiki, Jr., affectionately known as “Uncle Sam” died at Queens Hospital in Honolulu. He was 79. The painting of Uncle Sam above by Donna Grabow from a film where Sam is saying “You gotta focus…” captures the deep commitment of his life for justice. Sam was a retired U.S. Marine Corps Sergeant Major having served 30 years, receiving Purple Hearts in Korea and Vietnam. Following retirement and returning home to Hawai’i, Sam saw Hawaiian people destitute and committed his life to changing the situation. This led to his involvement in the cause of justice, an end to U.S. occupation of Hawai’i, and the re-establishment of the sovereign Kingdom of Hawai’i. Uncle Sam became a member of the House of Nobles of the Reinstated Lawful Government of Hawai’i. 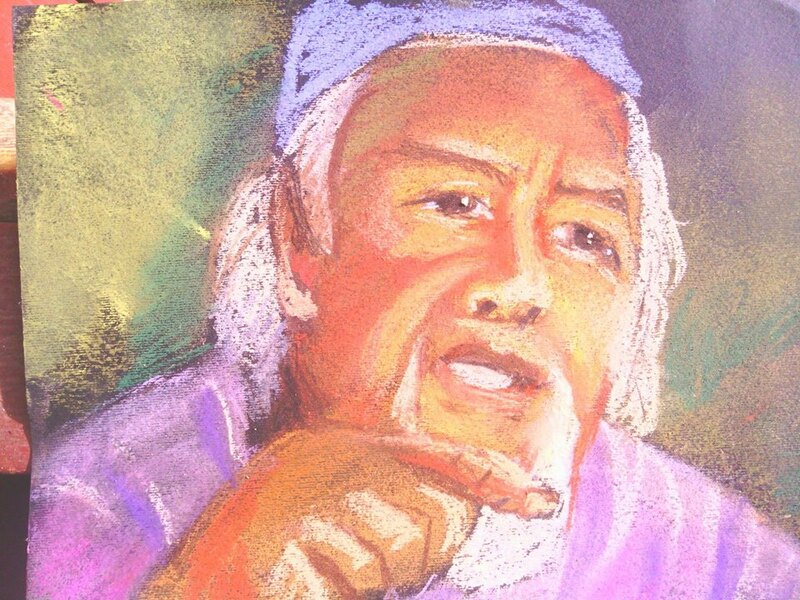 He also served as President of Ohana Ho’opakele for many years seeking to establish Pu’uhonua as alternatives to prison. He helped many people on a personal level and the cause of justice for all. A Memorial Celebration of Uncle Sam’s life will take place on Sunday January 18th, 2015, 9:00 am – 11:00 am at Uncle Robert Keli’iho’omalu’s family compound at Kaimu, Kalapana. 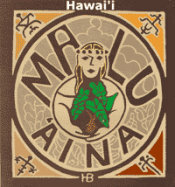 Aloha Uncle Sam & Mahalo for the Inspiration of Your Life!